As we reported a few weeks ago, Zynga is debuting a new version of its hit Facebook game Mafia Wars. Today, the social gaming giant is revealing all the details of the new, mobster-themed, crime-focused social game, Mafia Wars 2. The game itself is not live now, but will be available on Facebook within the next few weeks. Originally launched 2008, Mafia Wars allows players to build their virtual criminal empires by collaborating with their friends to complete crime jobs, fight and rob other Mafia crews, run underground businesses and purchase virtual goods like weapons and getaway cars. 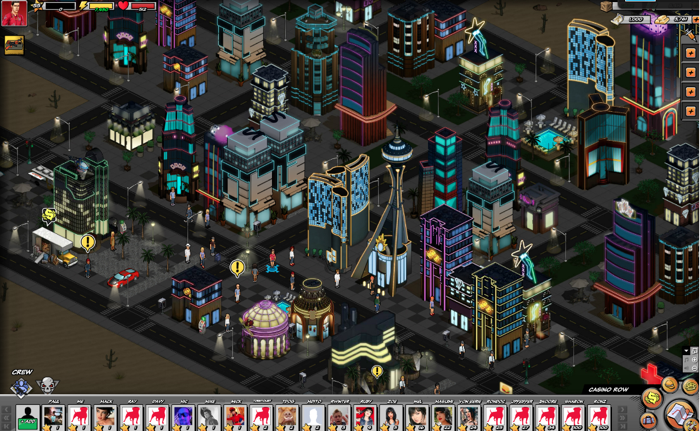 Set in New York City at launch, the game expanded to new in-game locales including Cuba, Moscow, Bangkok, Las Vegas, Italy, Chicago, and Brazil in March 2011. Mafia Wars 2 actually marks Zynga’s first direct sequel to a game, and introduces an even more immersive crime world with additional characters and deeper storylines. The gameplay itself is similar to to the first version of Mafia Wars and revolves around building up a virtual mafia family with other members, earning virtual cash to buy weapons, performing ‘jobs’ to earn more, and eventially building your own casino. But the gameplay is much more in-depth, expansive and in some ways, more violent and combative. Mafia Wars 2 also has a more edgy feel to it. For example, the title’s trailer is actually set to “Mountain Song,” by Jane’s Addiction. Players need build up what Zynga calles their “turf economy” to collect cash and hire workers to do their dirty ork and keep their hands clean. Mafia Wars 2 features over 100 decorations/virtual goods for players to personalize their home turf, including casinos, banks and houses. Mafia Wars 2 also marks one of the highest-levels of customization for a Zynga game at launch, providing players with more than 300 different types of weapons, armor and vehicles. 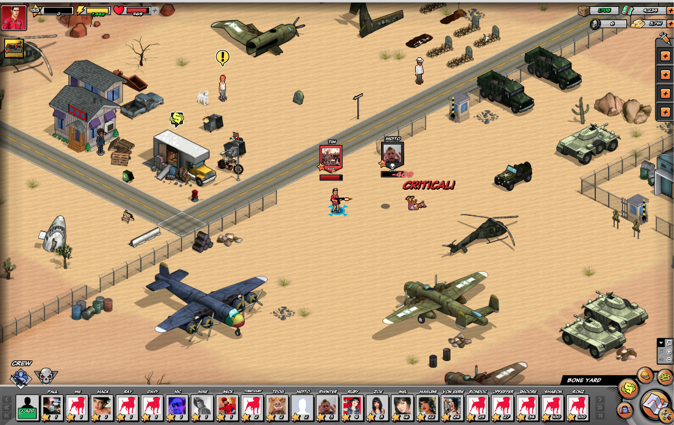 Players can outfit themselves by amassing weapons, armor and abilities to help them in battle. Players can also generate from over 20 million unique looks for their avatar, including over 600 pieces of clothing. Mafia Wars 2 game players travel across seven worlds, including Casino Row, Granite Square, Neon Strip, Downtown, Bluebird Meadows, Boxer Island and Westside Wharf, to take on crime bosses and build their empire. While some characters from the first version of Mafia Wars make appearances, for the most part the characters in the sequel are new. Characters include, Zoe Sato, a daughter of a Yakuza gangster, gang member Lucius Jackson, and corrupt FBI agent Arthur Roteman. As I mentioned above, this version of Mafia Wars is more combative, and also is a consequence-based game, meaning your actions in the game may result in good or bad progress. Players engage in competitive and cooperative fighting and assemble a crew of friends from Facebook. Players build their crew to help them on missions, fight rivals, take on crimes bosses and visit friends’ turfs to enhance their criminal empire and character abilities. Friends (crew members) can be called on to help defend a player’s turf when it’s under attack and repair it after there has been damage . The game features three fight arenas at launch, including Bone yard, Badlands and Area 51, where players fight asynchronously and attempt to rob random rivals in the game. After a rival is robbed, they’re added to the attacking player’s rival list, where they can be targeted again. In terms of graphics and visualizations, Mafia Wars 2 had definitely been created with a more modern look and design, as well has more graphics and effects. In fact, there are over 100 character animations in the game, and there’s more of an emphasis on sound effects And the game has added 3D to its visualizations, giving the gameplay experience more depth. For Zynga, Mafia Wars is one of its earliest titles. The game has 4.4 million monthly active users, which compared to CityVille’s 71 million monthly active users, is small. Clearly, Zynga is trying to refresh interest in the title, and the gaming giant is betting on a more in-depth, visually appealing, combative game to help boots usage. Zynga has even released a first-ever digital comic, which reveals the back story to players’ stint in prison and the cast of characters in Mafia Wars 2. At launch, Mafia Wars will be available in 16 languages (English, French, Italian, German, Spanish, Portuguese, Indonesian, Turkish, Traditional Chinese, Korean, Norwegian, Swedish, Danish, Japanese and Thai), which is the most native translations Zynga has ever released out the gate. Zynga has been on a tear of late, launching a slew of games on Facebook and mobile devices, including Adventure World, The Pioneer Trail, Empires & Allies, a Chinese version of CityVille, a CityVille iOS app, Words With Friends on Facebook, and Hanging with Friends. And according to this report, it looks like Mafia Wars 2 may come to iOS and Android. But in a recent S-1 filing, the social gaming giant, which filed its S-1 to go public in July, reported that profits were down in Q2 of this year because of the lack of any new game launches in the first half of 2011. With the social gaming company now churning out titles, we’ll see if profits increased in Q3.